IRDG is delighted to announce a new initiative that has been agreed with Enterprise Ireland to enable companies introduce Lean principles into their company Design and Innovation processes. IRDG will run a pilot scheme during the latter half of 2013 employing the services of approved Lean consultants from the Enterprise Ireland directory. This pilot scheme will provide an introduction to Lean concepts in Design and Innovation. It will allow participating companies to gain an understanding of what the Lean tools and techniques can do during a short, focused assignment. Manufacturing, software and internationally traded services companies can avail of funding to learn about and implement improvements to their Design and Innovation processes. Companies can apply for grant support towards the cost of hiring an IRDG Lean Consultant/Trainer to undertake a short in-company assignment. Assignments are generally carried out over 8 to 10 weeks. The typical cost of undertaking a LeanStart assignment is €6,300. The company must pay the first €1,300 and Enterprise Ireland will provide grant funding for the outstanding costs, to a maximum of €5,000. LeanStart is open to small and medium companies that are Enterprise Ireland clients or potential clients who have been trading for at least 5 years, and are engaged in manufacturing or eligible internationally traded services. At this time, the programme is not available to large companies. Pending the success of this pilot initiative, the availability of the support may be expanded. 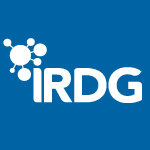 IRDG is very keen to hear from interested companies.